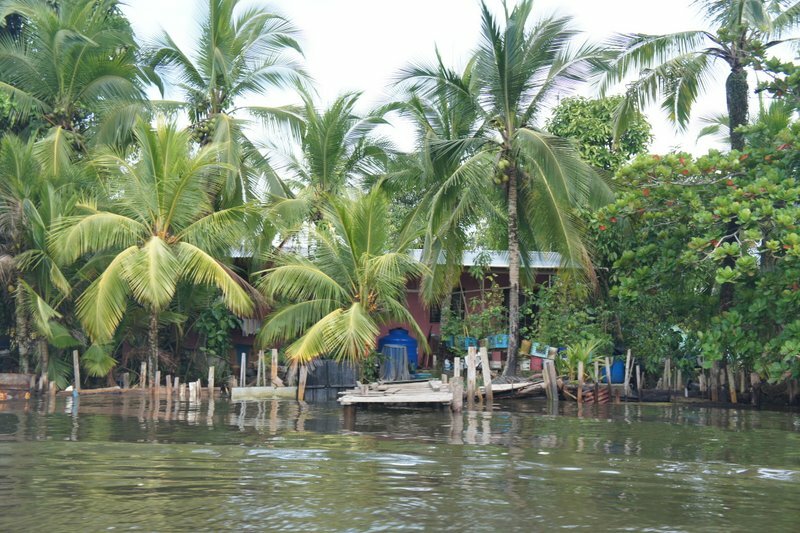 We took a water taxi to the Bocas but it felt more like a time machine. Fishermen hoisted up the day’s catch using carefully knotted nets onto tiny fishing boats. 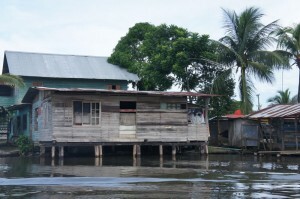 Make shift homes balanced precariously on stilts. Men harvested coconuts atop swaying palm trees. Something tells me that not much as changed here in the past 20 years and why would it. 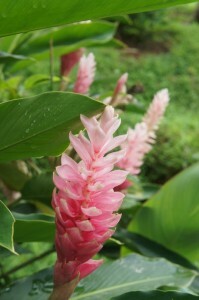 The day’s activities culminated into a soft hum of tranquility, setting me completely at ease. 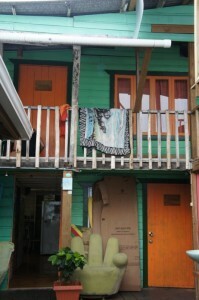 We settled into our hostel, Casa Verde, a recommendation we got at our last stop, Boquete, Panama. The hostel was awesome. The rooms were all air conditioned. Taco Tuesday and 2 for 1 beer specials were scribbled on the bar’s chalk board. It’s small restaurant/bar nestled on the dock over looking the sea. I was already feeling right at home. 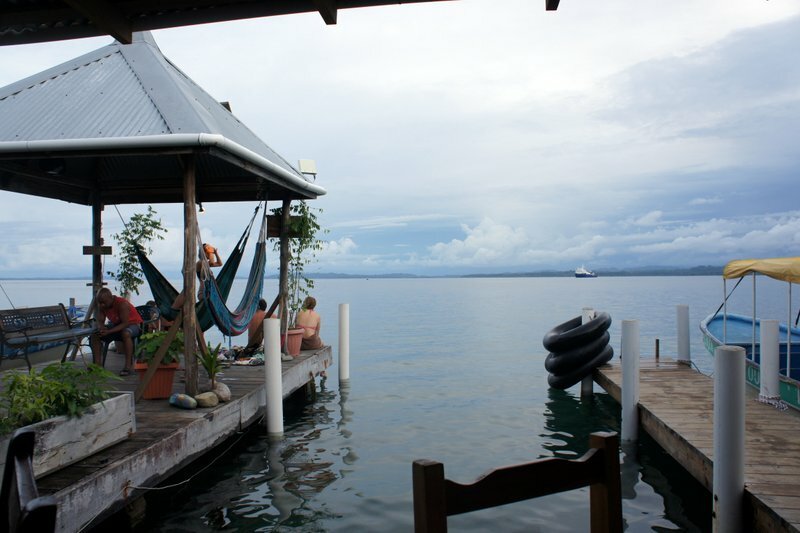 Casa Verde’s covered dock is lined with hammocks, perfect for afternoon reading. But the real fun doesn’t begin until after night fall. When the dock’s light illuminates the perfectly clear water, attracting a vast array of fish and sea creatures. Ben and I sat out there for hours watching the secret life of the sea unfold. A conch shelled crab crawls shyly into view. 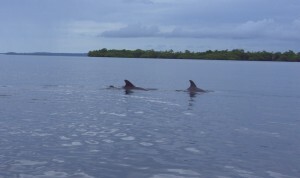 Barracudas dart quickly in and out of the traffic of fish. Two squid move in like alien space ships. Their jet propulsion moving them forward, backward, upward and downward. They eerily change color to match the light brown of the sand floor. Quickly, they sprayed out clouds of ink before their outlines shot like stars back into the darkness leaving you to wonder if you’d spotted them at all. 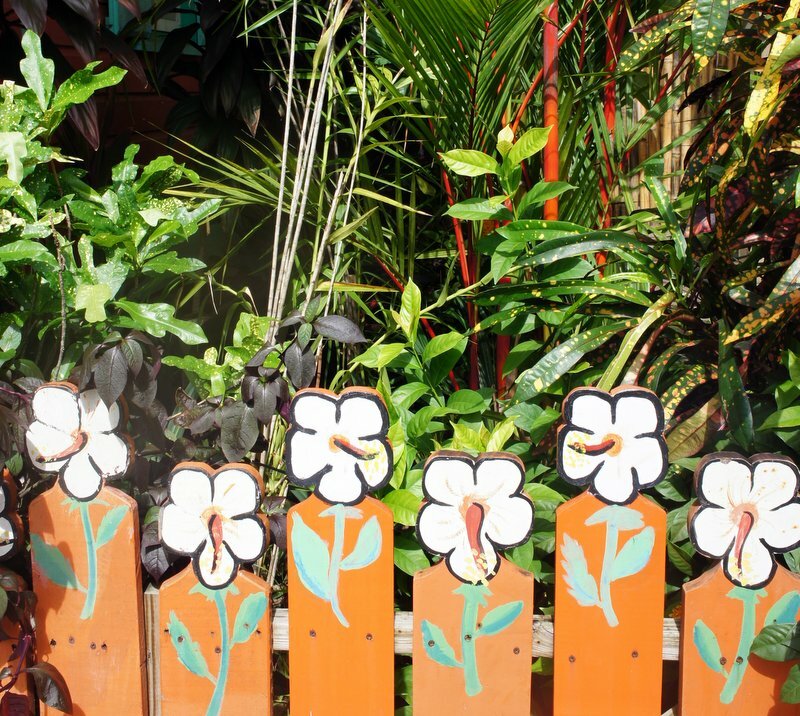 The brightly colored colonial inspired houses, exotic flowers, and laid back attitude of the locals all give the island of Colon a very distinct Caribbean feel. But it’s the multitude of American and European owned establishments and the small but visible population of American expats that makes Colon feel like Key West but at a fraction its price. 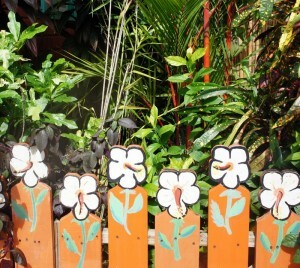 A cute flower fence we found in Colon. We ate at the Starfish Cafe, French owned and operated. The food here was amazing. Our ice water came out with thinly sliced cucumbers in it. 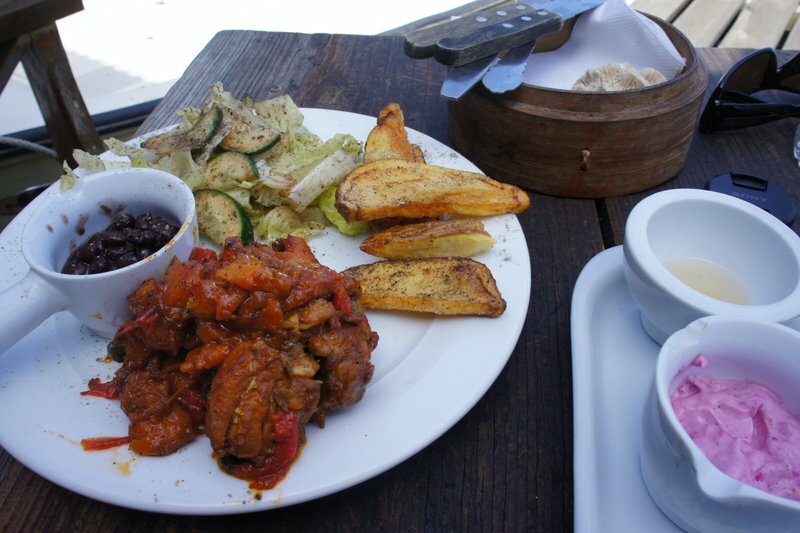 Ben had the creole chicken and potato wedges accompanied with some kind of sweet mayo based dipping sauce that was tinted pink by beets. 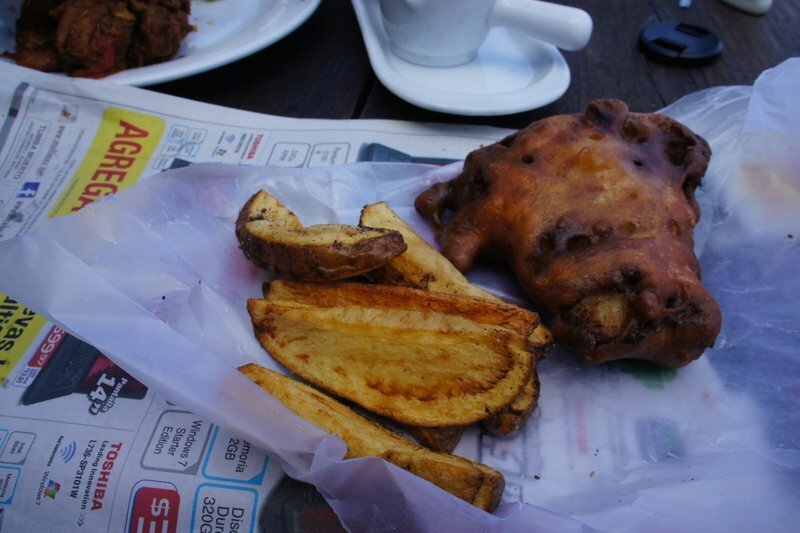 I had beer battered fish that came out hot,wrapped up in newspaper. It was all delicious and the scenery was perfect. We spent about $6 on the meal, a major splurge for us but worth every penny. 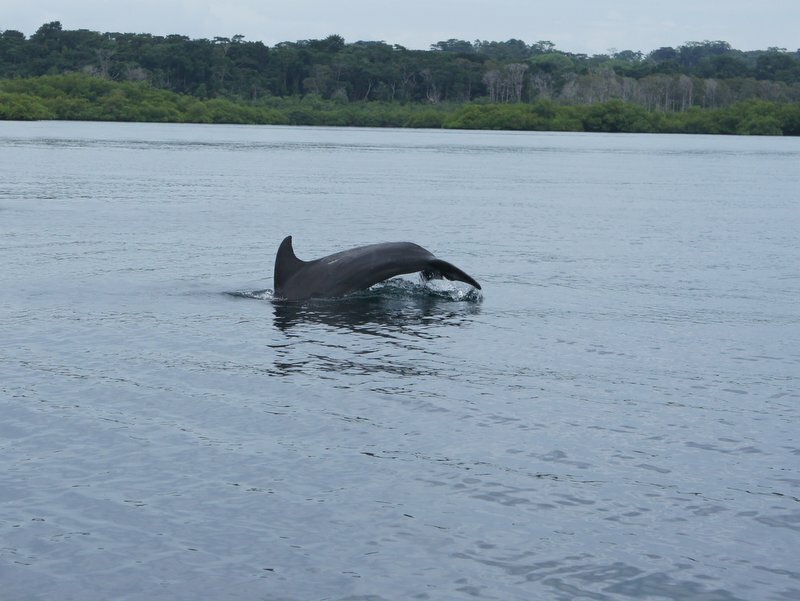 We were officially excited about our time in the Bocas. Colon had already been fantastic and it was only the jumping off point for the adventures that would awaited us here. We secretly knew we are going stay longer then expected in this unforgettable paradise. 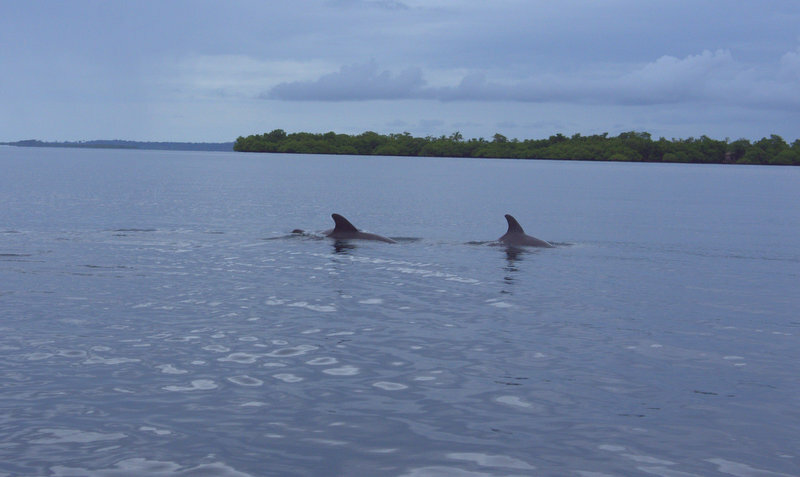 Dolphin fins we spotted in the Bocas.